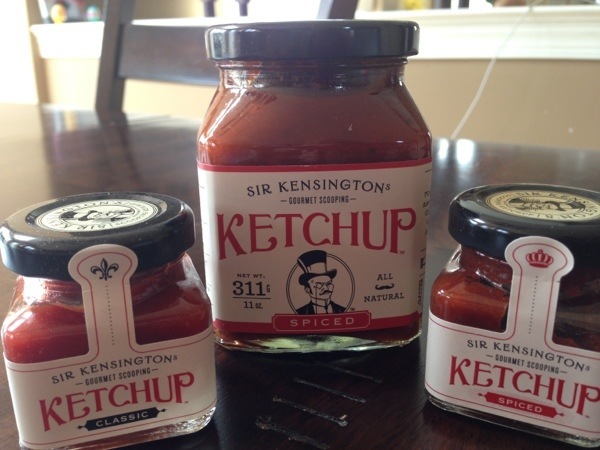 Sir Kensington Ketchup – Beyond Delicious! If you are ingredient conscious, Sir Kensington’s ketchup is 100% natural and beyond delicious tasting. My husband and I are now obsessing over this gourmet style super scrumptious and HEALTHY ketchup that I was sent to review. No hidden high fructose corn syrup and never any GMO’s. The older I get and the more aware I become about chemicals and artificial ingredients in foods, the more concerned I am about wanting natural ingredients. 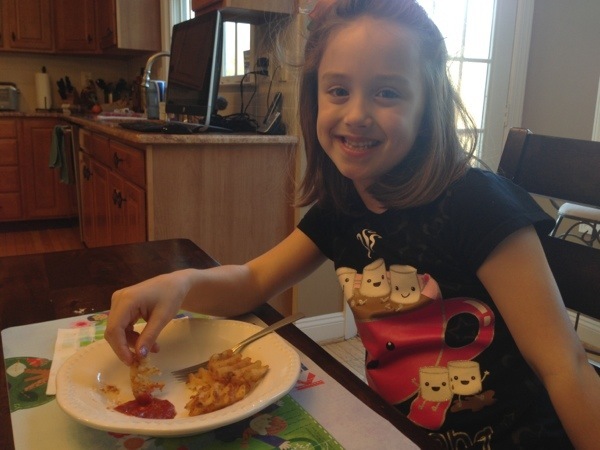 Last night we had it with fries and grilled fish for dinner. 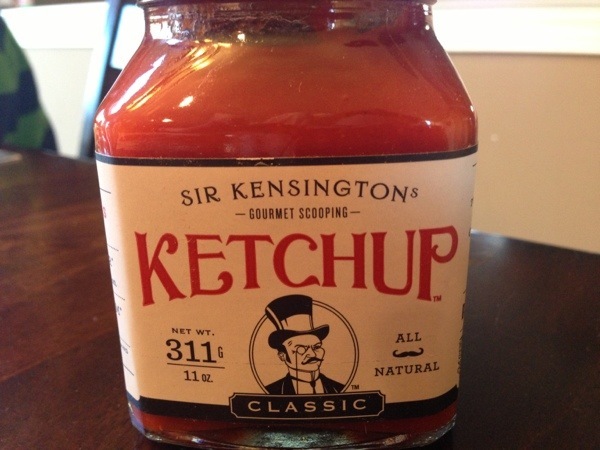 We literally were SCOOPING out our Sir Kensington’s Ketchup as we wanted more, more, and more! It almost tastes like pure sweet tomatoes. Tomatoes, tomato paste, Apple Cinder Vinegar, Raw Sugar, Onion, Honey, Olive Oil, LIme Juice Concentrate, Green Bell Pepper, Salt, Agave Nectar, spices. And you can tell, the kids loved it too! And, since we can’t get enough of Sir Kensington’s, we now plan to actually make a homemade pizza using a jug of this stuff as the sauce. We seriously think it is that good that we are aiming to create new recipes with it! They also sell a Spicy version along with packaging it in small bottles which would be great for traveling or a picnic. Sold at Williams Sonoma, Whole Foods, Dean &Deluca and more. Note: We received samples to facilitate our tasting review. As always, all thoughts and opinions are my own.